The Hindu Festival of Holi is on March 6 this year but it is celebrated any time around that date. Known as the Festival of Colours, it marks the beginning of spring. In India and at some Toronto temples, it has already taken place. But it’s not too late. There a big celebration on Sunday, March 8 above. 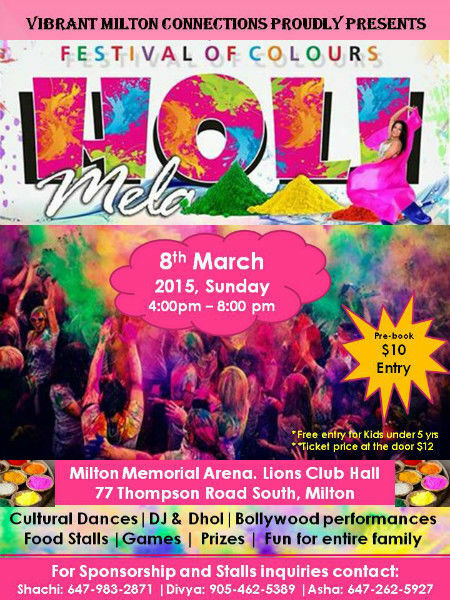 For our Blog on this event: https://www.torontomulticulturalcalendar.com/2014/03/17/467-playing-holi-for-real-in-toronto-2014.